Sirui make some very impressive durable products as I have found. The K40x is a solid lump of metal that feels pretty much indestructible. The anodised finish doesn’t scuff too badly either. The body of the ball head is a machined aluminium alloy. From what I can make out the ball is similarly constructed. Overall the finish feels really professional and durable. The fit for all the moving parts is tight without any undesirable movement. Even supposedly finicky pieces like the safety stop on the quick release clamp are durable and tough. There are no exposed screws, springs or levers, meaning that the ball head has been designed with durability and toughness in mind, I think. This of course means that the head isn’t exactly light; weighing in at a relatively hefty 700grams. However, Sirui claim that it can handle up to 35kg! That’s a lot of weight to be shifting about. Personally, wanting to move anything of that weight about on a ball head is probably mad - you should really be using a geared or fluid head for that - but the point is that the K40x is capable of handling weights beyond what one would consider maximum weights for even a pro-level ball head. Ultimately the actual build and feel of the K40x inspires confidence. It looks and feels like it can withstand a serious amount of abuse. As I mentioned at the beginning of the review, I have had the ball head as my primary head for a full year. This has included a workshop on the Wild Coast, a 2-week workshop and tour in Namibia, Innumerable jolting trips through Zululand for one of my clients, countless hours of use in the studio shooting catalogue images and several other landscape shoots around the Drakensberg and Durban areas. Considering how I use my equipment, the head looks in excellent condition. Not bad. I’d say it passed my abuse test with flying colours. 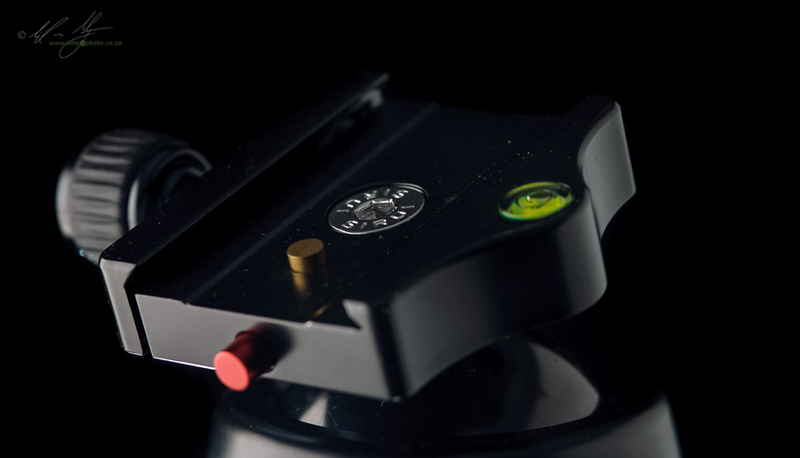 As with the rest of the Sirui ball heads, the K40x has an Arca-Swiss compatible quick release mount. The mount is a simple clamp, but has their innovative locking pin that stops the camera from sliding off the clamp accidentally. It’s simple and fail-proof which I really appreciate. The clamp tightens with a rubber-covered knob. As with some other Sirui kit that I have used it is possible to over-tighten this knob, making it difficult to unlock. You get used to it really quickly though, so know when to stop tightening. 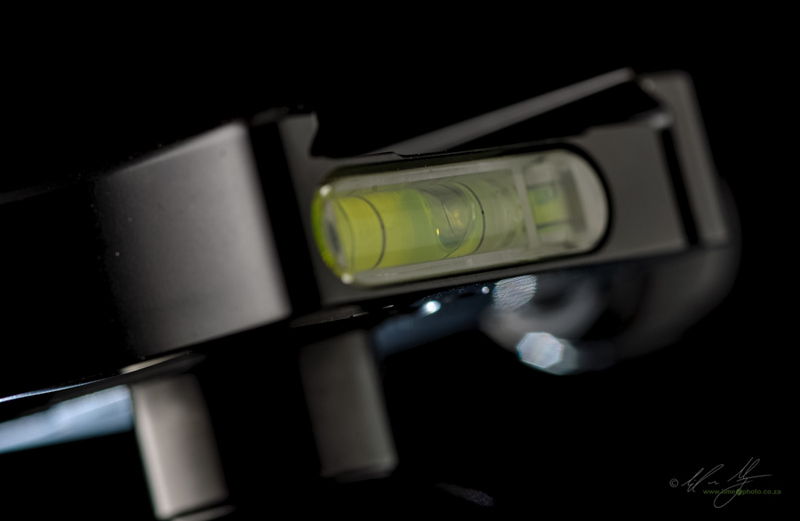 The clamp has a total of three spirit levels recessed into its anodised aluminium surface. On the top plate is a round bubble level; while on the side is a horizontal and vertical level. It makes leveling the head’s clamp very easy if you need to. There are only two control knobs on the body of the ball head itself. These are a rubber coated main friction control and a ridged surface metal pan knob at the base of the body. Panning movements are marked with 5 degree increments. I found the increment marks weren’t exactly precise since the actual line markings are done away with at times and replaced by numerals. This doesn’t make exact positioning that easy. However, very few photographers need that level of accuracy, and if they do would probably buy a panoramic or geared head in any case. The ball itself is a nicely finished black ball with a 54mm diameter. That’s a decent sized ball, meaning that smooth movement and locking ability should be obtained. The ball is large enough that Sirui have actually made the head with an odd tapering design to accommodate its size yet keep the diameter of the pan base also at 63mm (5mm slimmer than the widest point on the body). This is a really simple ball head essentially. It doesn’t take a rocket scientist to work out how to use it. There is a single large locking knob for the main ball and a small metal pan knob for the panning base. Both move fluidly and with ease. Not much to write about really. The difference comes in with the main control knob. It offers the ability to adjust the friction of the ball when you loosen it. This in turn affects the amount of rotation required to lock the knob. It took some experimentation for me to get it right, but the beauty of the system is that once in place you can just forget about the friction control. 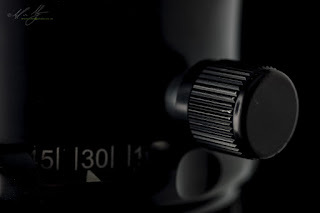 To get the friction adjusted for your particular style of photography, you need to tighten the main control knob in a clock-wise direction for about a half turn. You don’t have to be precise. The idea is just to get the ball lightly gripped by the head. Next, loosen the friction control screw head by rotating it counter-clockwise with your fingernail or a screwdriver (it’s actually easy enough to use the pressure from your thumb). Now, while moving the ball about with your one hand, slowly rotate the main control knob until you get the minimum level of drag that you want (the idea is not to lock the ball, but rather to set it’s looseness). Once you have this, rotate the small screw head clockwise until it is locked. You can then move the blue numbered band (Sirui refers to this as the Calibration Ring) to zero. Zero now indicates full unlock. Turning the control knob clockwise will lock the ball head in place. It was not love at first use for the first unit that I used. I pretty much exclusively used the first unit that The Sunshine Company sent me for about a month and a half. This included a recce trip to the Wild Coast. Unfortunately, using the ball head was a bit of a chore as it turned out, since there was what I believed to be a fault in the pan movement of the main ball that caused the pan to get progressively tighter as you tried to pan the head on the ball. In frustration I called Sunshineco and they sent me a second unit. It was like using a completely different ball head after I received the second unit. The story doesn’t end there though. At first the second unit behaved flawlessly for about a month, then a noticeable drag started to appear whenever I rotated the ball in a pan movement. As soon as you do any other movement apart from the pan there is minimal if any drag to be found (unless you specifically set that drag via the friction control). I found this very odd at first, but sort of got used to it. 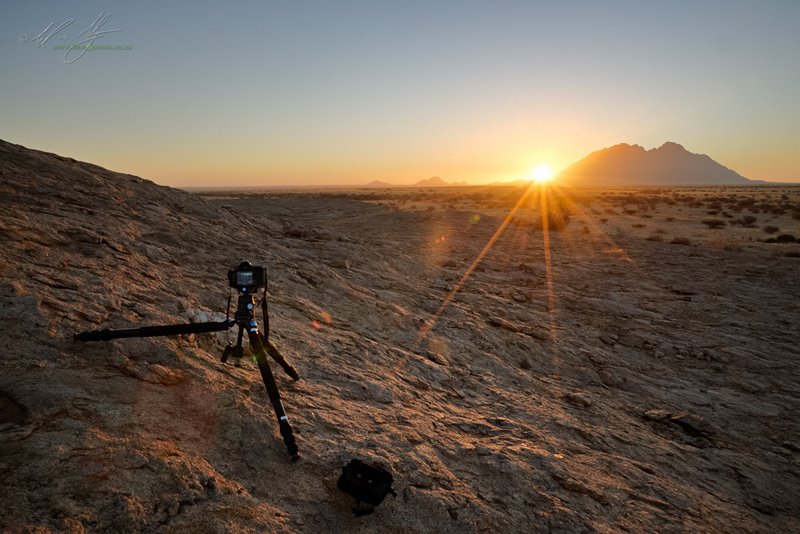 It really wasn’t an issue using the ballhead for anything like landscape, architecture, cityscapes or any other kind of shooting where you need to lock down the tripod. This apparent ‘flaw’ seemed to be something I could work around. It gets trickier if you need the tripod for loose support, like holding a large lens while moving the camera freely (admittedly no ball head is designed for this, but a lot of people use it as such - the correct head for this kind of use is a gimbal style head). Eventually I concluded that this must be inherent in the design and decided (incorrectly) it was possibly to act as a fluid dampener for doing pans. Then the ball head started to lock up completely whenever I tried to pan the main ball. Still, I got used to it. Finally, on finishing the original review of the ball head (it wasn’t exactly positive based on the pan lockup) I phoned Willem at Sunshine and chatted to him about my frustrations. Subsequent to the delivery of the second unit, the chaps at Sunshineco had actually been in contact with Sirui around this very problem. When I encountered it the first time, I was the only person who had been affected. By the time I eventually wound up my first version of the review several other photographers had also pointed out this inconsistency in handling. It turns out there is a very simple answer, simple enough that I had to rewrite the entire review. Basically, because of the design of the ball, if very fine dust gets to the very bottom of the ball in it’s casing, it causes friction to increase. The solution is simply to drop the ball into the vertical orientation slot and rotate it while holding a dry cloth to the ball. This wipes away the dust and suddenly you have silky smooth movements again. Even with the friction oddity that I didn’t realise was simply a cleaning issue, the K40x is one of the most stable ballheads I have used. The large ball makes moving heavy equipment very easy. 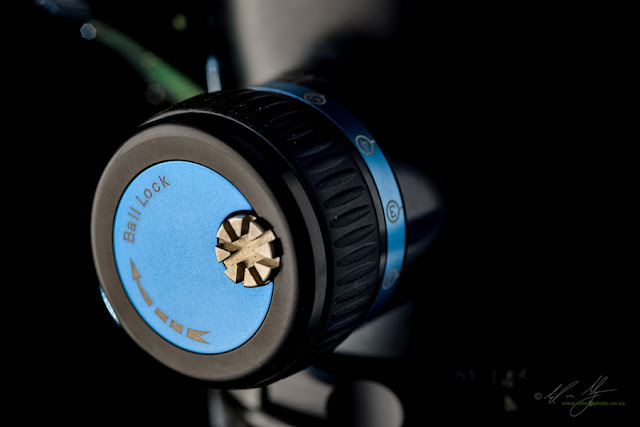 The friction control locks positively and even allows some fine compositional adjustment. But, by far and away, the deal breaker for me is the fact that there is almost zero sag after I have locked down the ball. I say ‘ almost zero’ as I don’t have a way to scientifically test it, but in studio and in the field I could see no sag or change between my composition as I set it and after I had locked the ball and let go of the camera. That’s practically unheard of in a ballhead and only a very select few manage to get this right. As part of my more mundane day job, I was responsible for shooting the entire Gelmar Handle catalogue. For this I needed absolute accuracy in the ballhead that I used. Not once was there sag between composition and shooting. The same applies for when one is shooting long exposure photography. Any sag or movement during the exposure will result in a loss of sharpness and detail in the final image. Again, I had no problems here at all. The K40x isn’t the kind of head that you get excited about. You get excited about the G20kx because it’s so small. You get excited about the Acratech ball heads because of their design. 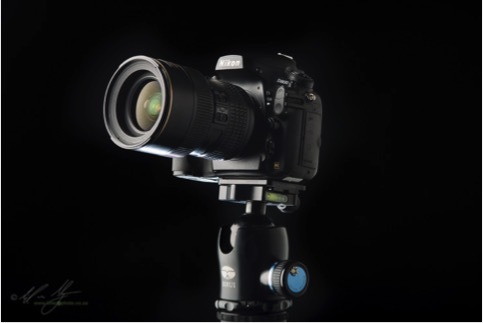 You can get excited about the Gitzo off-centre ball heads because of the different angles you can position the camera. You can get excited about the KPS T5 geared ball head because of its unique gearing ability. The Sirui K40x is not an exciting ball head. It’s a rock solid dependable ball head. It’s designed to be a workhorse, without frills and the picky diet that a racehorse requires. It’s not the most exciting ball head I have ever used, nor reviewed. BUT, I would be more than happy to use it as a daily ball head. The strange dampening is something I worked through, to the point that I would recommend the ball head even before I discovered the simple fix to correcting it. The large ball made positioning easy. The 35kg load limit meant that it held equipment in place with aplomb. I never felt like I was trying or working hard to lock the ball, which incidentally the control of which I thought was superb. The head doesn’t feel too heavy for my carbon fibre legs, yet easily handles heavy loads. The clamp has a good positive locking force and there is absolutely no play in the head except horizontal panning when the pan control is used, which is one of the smoothest I’ve used incidentally. Fine tuning compositions was relatively easy (some ball heads are notorious for being too sloppy for fine compositional work). So what it boils down to is that the K40x is a stirling workhorse. Boring to some photographers, but a piece of equipment you can depend on. I’d recommend it based on that. I consider the Really Right Stuff BH-55 ball head the gold standard of ball heads. The K-40x is up there with the RRS, but at a significantly lower price. This makes it extremely attractive to photographers who have to work to a budget. I started off struggling with the K40x. Got over the early hump with the panning of the main ball and came to accept the Sirui. Then, I started to depend on the Sirui ball head. Now, I don’t want to send the ball head back to Sunshineco. I would be more than happy to work with the K40x as my primary tripod head, it’s that good.